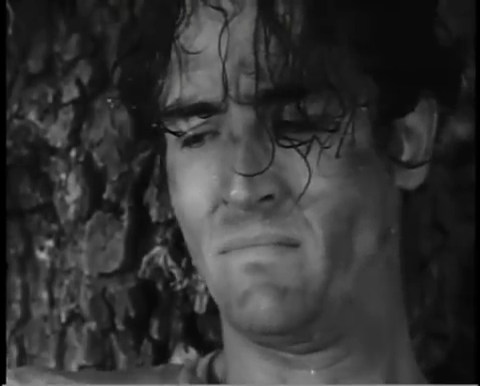 A prison security lieutenant (Barry Sullivan) chases a fugitive (Vittorio Gassman) through the bayous of Louisiana. 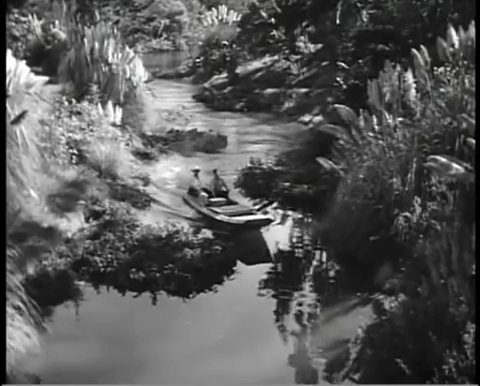 As noted in Time Out‘s capsule review, this fugitive thriller by low-budget director Joseph H. Lewis is “hardly original, but highly enjoyable.” While there isn’t much to the story — law enforcement official chases desperate fugitive, stupidly lets him get away, then vows to catch him again at any cost — there’s plenty of atmosphere, and Sullivan and Gassman make sympathetic protagonists. Less impressive is the cast of supporting characters — including William Conrad as Sullivan’s beady-eyed partner, Mary Zavian as Gassman’s swarthy backwoods wife, Jonathan Cott as a bigoted deputy, and Polly Bergen as Sullivan’s loyal wife — who come across as walking embodiments of cliches. In addition, for every creative noir quip in the film (and there are plenty), the next one is a clunker. 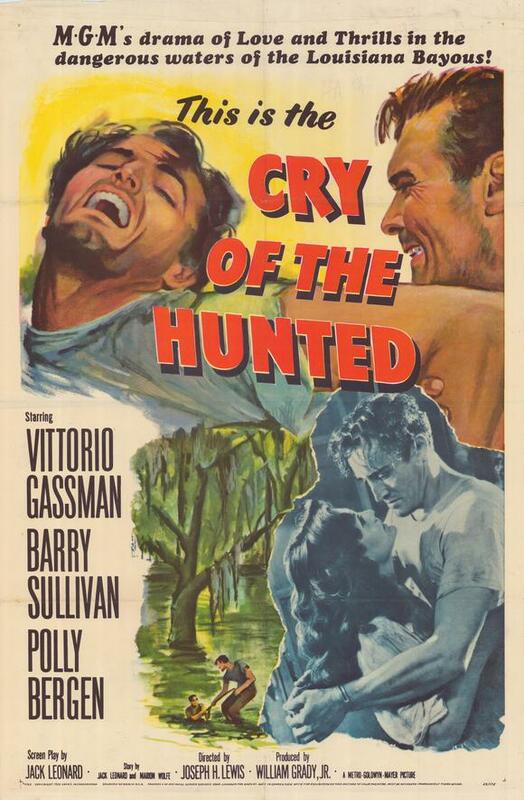 Ultimately, Cry of the Hunted remains an atmospheric thriller, yet not quite a great one, and will likely be of most interest to fans of Lewis’s work. No. This is one of Joseph Lewis’s lesser films, and not essential viewing. First viewing. In overall agreement with the assessment – not must-see. ‘COTH’ may mostly be of interest to those who (like myself) think of Lewis as an interesting director…which he is, and he and his cast work hard to make the most out of the material here. But this is too noticeably one-note stuff: Sullivan is out to get his man; ultimately he gets him – there’s no plot construction and no surprises by way of story development. I would hardly call the film “highly enjoyable”. Still, fans of the director will get some satisfaction out of seeing how he takes control of an inferior script. This is not an easy film to come by – I happened upon a TCM print on YouTube (which, of course, could be yanked at any time).